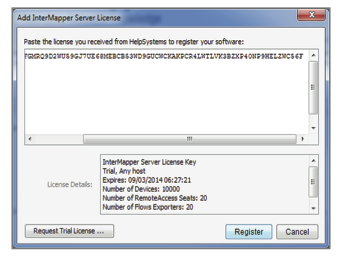 Follow the steps below to register your license for Intermapper. 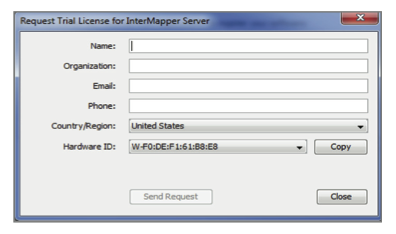 Use Intermapper Remote Access and follow the exact same process to register any servers. 2. Click Copy to copy the hardware ID to your clipboard and send to keys.intermapper@helpsystems.com. 4. Paste the license you received from HelpSystems and click Register.